* All samples are WAV format. This means they are virtually compatible with 99% of audio devices. Feel free to use this sample pack with hardware samplers such as Elektron Octatrack, Digitakt, Roland SPs, or any software samplers. 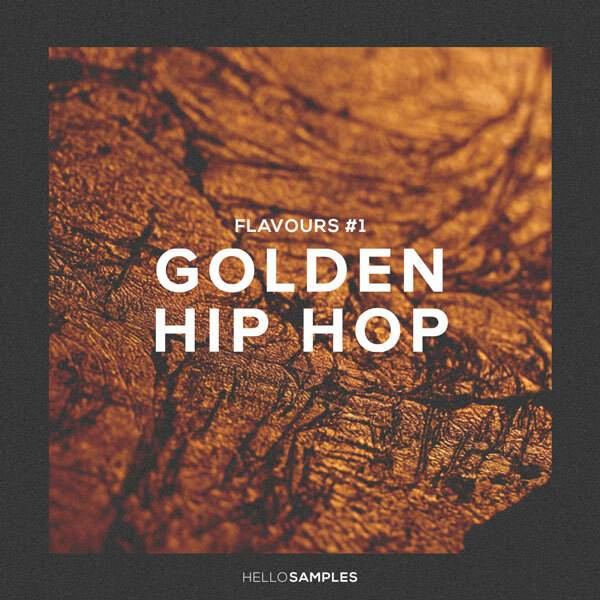 Golden Hip-Hop is an extensive collection of patiently cooked sample cuts, loops and MIDI beats inspired by the late 90’s Hip Hop scene. (Slum Village, J.Dilla, A Tribe Called Quest, Pharcyde, DeLaSoul…). If you are a crate digger always looking for that special scent that emanates from all records of the late golden era, don’t look no further. Inside you will find bold kicks, crispy snares and dazzling hats sampled at 12 bits through the classic MPC60, then layered down with warm analog drum machines and resampled again into our computers using top converters to finally create a set of loose drunken beats. As a side dish, we have deep bass tones (acoustic and synthesized) playing groovy lines and finally one of our special courses: silken velvet chords from our electric piano and synths seasoned with our characteristic “needle on wax” crunchy sound. A total of 600+ different samples and more than 300 WAV loops make a delicious and complete meal for your sampler. But it doesn’t end here, it also includes 21 production recipes in form of construction kits / MIDI beats ready for Ableton and Maschine, to which you can learn and understand how the late golden era master chefs cooked their own songs. Without further ado, get your stomachs and samplers ready to make the finest beats! “When we first envisaged the Flavours Series, our first priority was to offer not only loops and samples characteristic of a music style or era, but also offer midi projects (and their correspondent programmed kits) that let the user understand how those songs/patters were built. If you think twice, you can obviously get inspired by using audio loops, but why not learn the basics behind that grooves while you have fun?. Building those libraries is a great endeavour, first because most of those music styles were built using hardware vintage gear, and second because not all the music softwares run the same way or have the same configurations regarding velocity settings, volumes, etc. We first need to build the songs on those vintage machines, record all the resulting stuff on a DAW and finally chop the samples again and re-build the songs inside softwares such as Ableton Live or Machine.